The Vietnamese Immigration Department (VID) offers a variety of visas to visitors of the country, depending on where they come from, and the reason for their visit. The E-visa for Vietnam is one such kind of visa that can be applied electronically/online and is valid for a single entry, and a duration of 30 days. It is usually provided in a PDF format for convenience, and you do not need to get a stamp on the passport to validate it. Vietnam E-visa can be used for a variety of visits such as business, tourism, journalism, summits, official business, studies, etc. Foreigners who wish to visit Vietnam can apply for an E-visa personally through the National Web Portal, but this process is a long and cumbersome experience. Furthermore, the details and documents you have to upload to their program online are as inconvenient as a government procedure can get. Fortunately, there is a visa service that can handle these hassles for you so that you get your visa without facing a lot of problems and waiting too long. E-visa is not allotted to all foreign nationals. There are currently 46 countries who are allowed to opt for Vietnam E-visas. These include countries from Asia, Europe, Africa, the Middle-east, as well as the American continent. There are a total of eight international airports that will allow entry with an E-visa in Vietnam. There are also twelve land-ports and seven seaports which accept E-visas as a valid document for entry into the country. 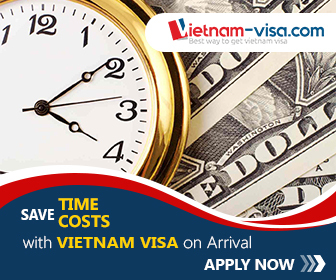 There are certain conditions you have to fulfil to be eligible for a Vietnam E-visa. • The first condition, which is fairly obvious, is that you have to be a foreign national who is not a citizen of Vietnam. You will have to carry a copy of your E-visa throughout your stay in Vietnam. • You have to be the holder of a valid Passport issued by your country. The passport has to be valid for at least one month at the time of entry so that the visa does not outlast the passport. • Finally, you should not be liable in any of the items mentioned in the Vietnam government’s list of actions that bar a foreigner from entering the country. Apart from these usual conditions, E-visa gives travellers a convenient option for visa processing because you don’t have to physically be present at Embassies or Diplomatic Missions just to get your visa. However, obtaining your E-visa correctly and on time depends a lot on the right visa service. We believe you should get access to prompt and reliable service. Instantly get your Evisa right here!